Recently, it was seen that Google changed the interface which was there to add reviews on local search results and eliminated the requirement of Google+ accounts of users. 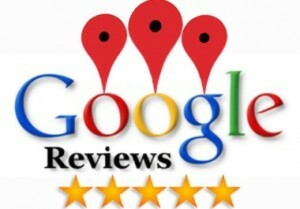 For all those who are eager to leave reviews for local businesses found within Google Maps, you can now do so even when you don’t have a Google+ account as this is the new change brought in by Google in its user interface. It was Conrad O’Connell who first noted this change to the interface which donned a modal approach while giving reviews on local search results on desktop. He said that the elimination of the requirement of Google+ account seems to make the process somewhat easier as it is now effortlessly possible to leave reviews on local businesses. In fact, Mike Blumenthal is of the opinion that Google has most probably fixed a bug which became a barrier to leaving the reviews on mobile browsers unless that had some previous reviews. This step taken by Google would definitely have some benefits to business firms and as it has been reviewed, it could definitely lead to a noteworthy increase in the number of reviews that are being left in Google search as it has become way easier than before. This is of immense importance as overall number of review and score decides the ranking factor in local search engine results. You will still be required to give the first name and the last name that you have on your Google account in order to leave a review and hence your reviews won’t be anonymous. However, there will be a distinct separation between Google and Google+ search. Hence, it can certainly be said that the combination will make reviews easier to leave and will also kill a bug which was an obstacle to leaving reviews. All this will increase the total number of reviews for a business. Google has indeed done a great job to have done away with a set of barriers of entry which could have left some interested parties disinterested in writing reviews on their mobiles and desktops.